AMERICAN FILTER & EQUIPMENT clearly leads the way as a single source for quality products designed to aid in the maintenance of large vehicle and heavy equipment fleets. 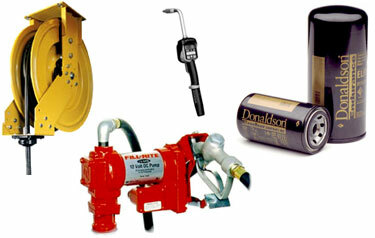 As you browse through our product line you will recognize industry leaders that set the standards in their fields. Additionally, AMERICAN FILTER & EQUIPMENT stocks and sells many specialty items that are industry specific and hard to find such as the four-way reversing valve for waste-oil systems or a heavy duty, spill proof bucket pump. Need equipment for a lube truck? As a supplier for lube truck OEMs, AMERICAN FILTER & EQUIPMENT can provide cost effective replacement components for most models. Looking for parts? American Filter and equipment can supply repair parts for all major lube equipment brands including: GRACO, LINCOLN, ALEMITE, REELCRAFT, HANNAY & COX. Look no further, you have found the supplier with knowledge, experience and availability.